In addition to its new Connect Station and some other products it has introduced during this CES 2015, Canon has added five new cameras to its PowerShot product lineup, with the new devices ranging from slim pocket-friendly compact cameras to somewhat larger offerings for those with more demands. The new models are comprised of the PowerShot ELPH 160, the ELPH 170 IS, the SX530 HS, the SX610 HS, and the SX710 HS, and they’ll all be arriving next month at different price points. The SX-series PowerShot cameras are the higher end of the bunch, offering things like high-speed auto focus (the SX530), high optical zoom (the SX710 HS offers 30x, for example), and both NFC and WiFi connectivity for easy content management. All three SX-series PowerShots run DIGIC processors. The two ELPH PowerShots, meanwhile, are slimmer and more tailored for the everyday photographer who wants to snap pictures on vacation or holidays. 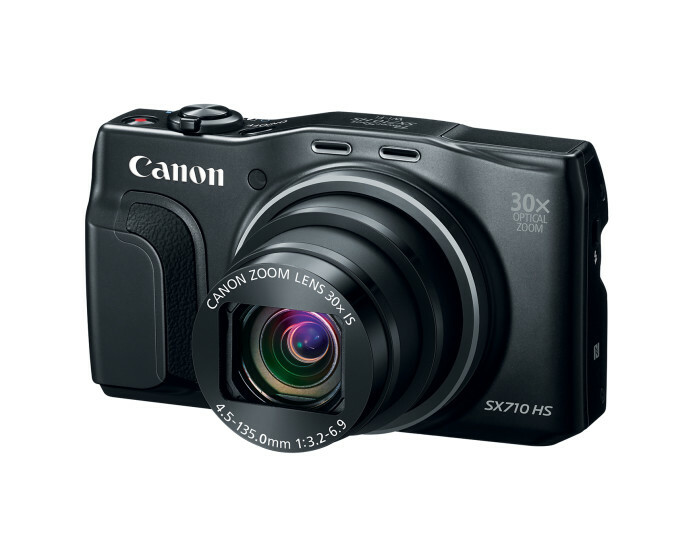 They both feature a 20-megapixel CCD sensor, and bring with them 720p HD video recording. Differences lie in things like the optical zoom (8x and 12x, respectively), which is represented in their differing price tags. The ELPH 160 will be priced at $119.99 USD, while the 170 IS will be a somewhat larger jump to $149.99 USD. The SX610 HS will be priced at $249.99 USD when it drops next month, the SX710 HS will be priced at $349.99 USD, and the SX530 HS will be priced at $429.99 USD. Specific arrival dates weren’t specified.